Revival is a mystery horror thriller told from the point of view of main character and protagonist Jamie Morton. His story spans from when he was six years old to present day. Told retrospectively, he recounts his childhood and teenage years and the effect on his life by a man called Charles Daniel Jacobs, whom he met when Jacobs became the pastor of his local church. Jacobs didn’t remain in that post for long and his appointment ended in tragedy. Jaded by his experience Jacobs disappears from Jamie’s life to resurface years later in a very different occupation and an obsession with electricity, which has widespread adverse effects on those whom he has “experimented” on. However, Jacobs seems to be on the trail of some kind of holy grail in his work with electricity but what he seeks in curiosity has the danger of unleashing untold horror. As much as it is difficult not to fall into the cadence and rhythm of this story told by Jamie, which I found particularly of interest as I enjoyed reading about Jamie’s years as a guitarist, to the point of wanting to pick up my own stringed acoustic instrument. The mystery and intrigue over Jacobs does drive this story as the reader ponders just what malevolent force he will become or unleash however, did the hairs on the back of my neck stand up? Did I look around the bedroom, whilst reading this, wondering what was lurking in the shadows? No. As much as I wanted to know how it would all end for Jamie and those near him I wasn’t particularly afraid or frightened by the story or malevolent beast that lurked in this horror. 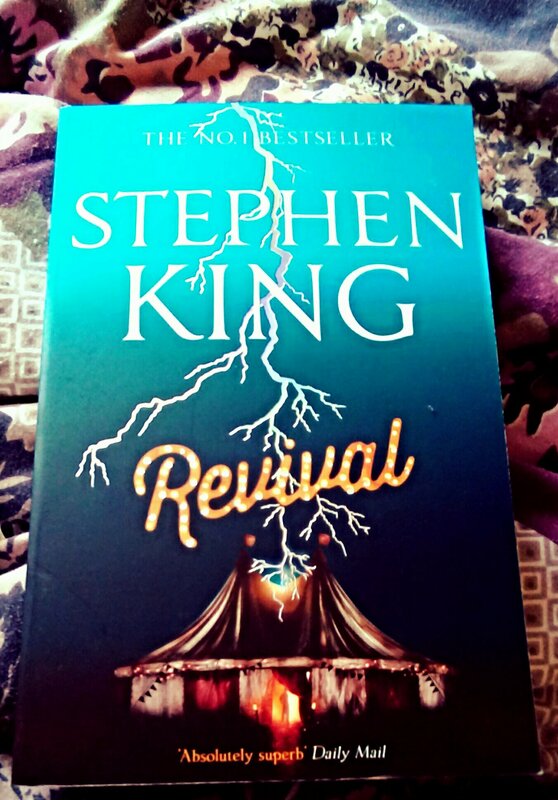 This isn’t the best or worst of Stephen King’s horrors and I don’t regret the time I spent reading it. I enjoyed reading about Jamie Morton but my imagination was not captured by the devastating power Jacobs peddled with and its resulting conclusion although oddly bizarre, still was somewhat middle of the road by King’s standards.